Being repeatedly late for work can lead to disciplinary action. Perhaps you were caught in traffic or had trouble getting your kids out the door to school, but the end result is that you're late for work. In most workplaces, supervisors frown upon tardiness, but also understand that it can occasionally happen due to factors beyond an employee's control. In severe cases, you can face discipline -- or even termination -- due to your inability to manage your time. Being late for work can happen to can anyone for a long list of reasons, including car trouble, inclement weather, illness and family issues. If a matter beyond your control has resulted in the likelihood that you'll be late, Alberta Human Services recommends calling your supervisor to explain the situation and report that you expect to arrive to work late. Being proactive in this manner shows your employer that you acknowledge the situation and want to provide ample notice in the event the supervisor needs to find a temporary replacement for you. Upon arriving late, offer a sincere apology to your supervisor and a brief explanation, if necessary. 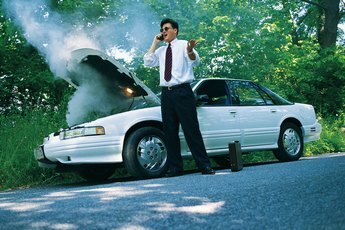 For example, if your car had a flat tire, it's important that your supervisor understands that your tardiness was beyond your control. Focus on getting to your desk quickly and getting down to work, rather than disrupting your co-workers who are already in place and working. 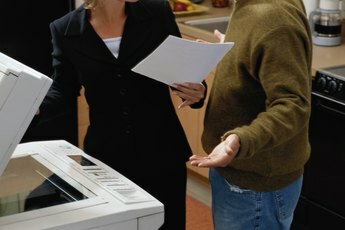 If you're chronically late to work, it's likely that your supervisor will address the issue with you. 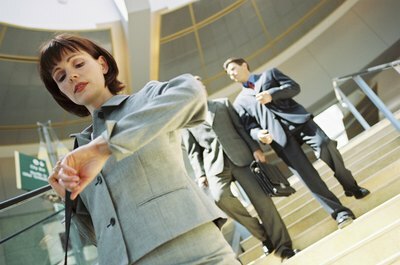 While many employers are patient with the occasional late employee, someone who is late repeatedly is likely to face discipline. HR Hero reports that supervisors typically discipline in four ways -- a verbal warning, a written warning, suspension from work and termination. Because being late is a relatively minor offense, you'll likely receive a warning. However, if you repeatedly arrive late and subsequent disciplinary actions don't get you in line, you can lose your job. "Forbes" magazine advises against shrugging off being late, as tardiness conveys carelessness about your job. Instead of worrying about being fired because you're chronically late to work, make some simple lifestyle choices to address the situation. The Mother Nature Network recommends setting your alarm clock earlier and improving your sense of time. "Harvard Business Review" suggests understanding exactly how long it takes to reach your destination. For example, if your commute on an ideal day takes 20 minutes and you only give yourself 18 minutes to get to work, you're likely to be late. Does the Fear of Losing Your Job Affect Performance?